Simple summer food. These are store bought croissants (I have made croissants before though!) but they are made with real butter. 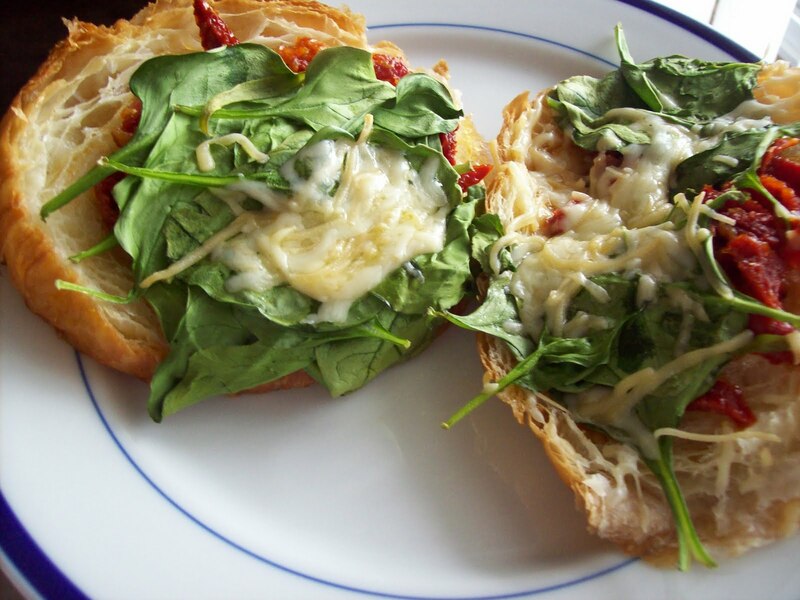 Topped with sundried tomatoes that were packed in olive oil with herbs, spinach, and grated parmesan cheese then baked at 375 for 15 minutes, until the cheese melted and spinach wilted. A quick dinner for when we'd rather be spending time outside, but it was so pretty that I wanted to take a picture. I love to share what's going on in my kitchen, but I think as we're all outside more with the nice weather, family vacations, and summer activities I'm going to do shorter 'this is what we're eating' posts rather than long informational ones (like the ones about babies and childbirth, fluoride, liver, root canals, etc). A season for everything, right? I'll continue to do giveaways because those are always fun, and over on Facebook (come 'like' my page!) I share articles that I come across that are interesting/important. But for here, we'll be toning it down this summer, and ready to go a little more in depth learning and cooking in the fall. Acne- is it really just little specks of dust in your pores getting infected? 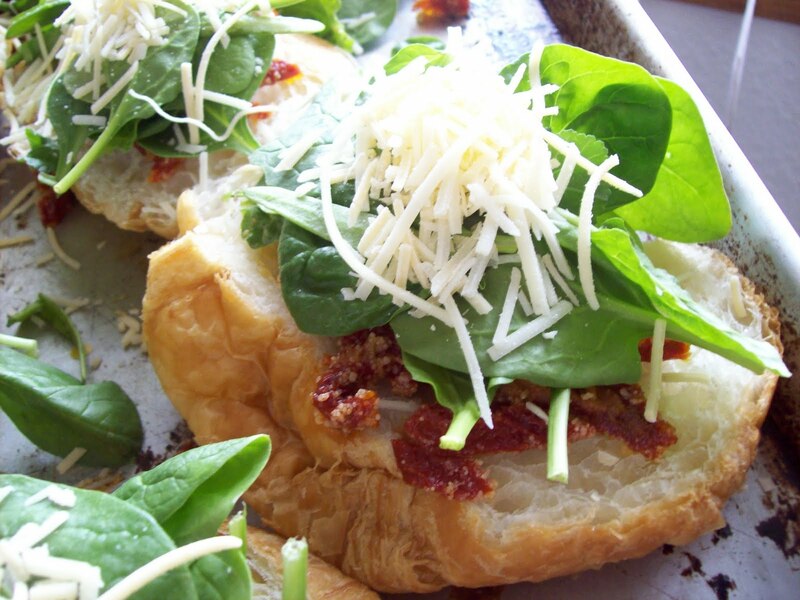 0 Response to "Croissant Topped with Spinach, Parmesan, and Sundried Tomatoes"